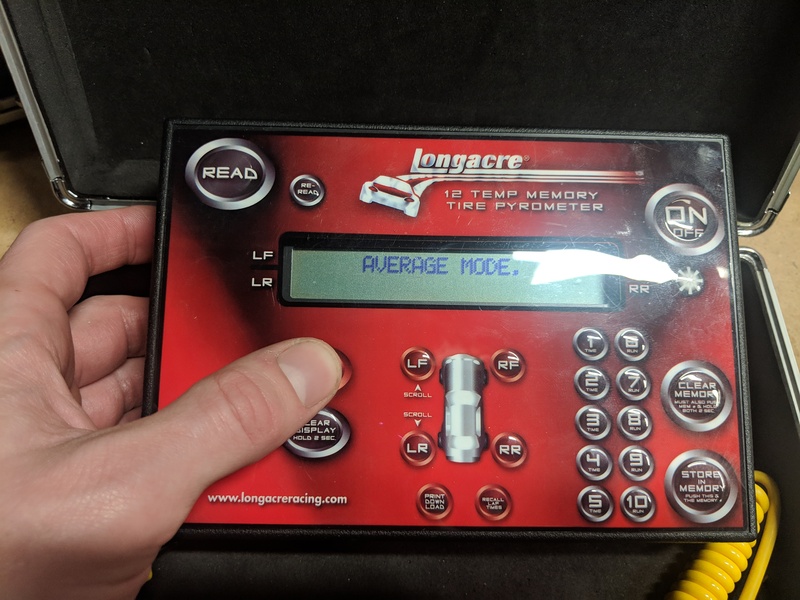 Longacre Deluxe Memory Tire Pyrometer - Fahrenheit - $320 Shipped - TrackHQ.com, the Web's leading forum for track day enthusiasts, racers and time attack drivers. Price is $300 shipped in the cont us, or $280 picked up in Tustin. Contact me at erikbruner@gmail.com or 949-981-2316 (if I screen your call on accident using google voice, text me). 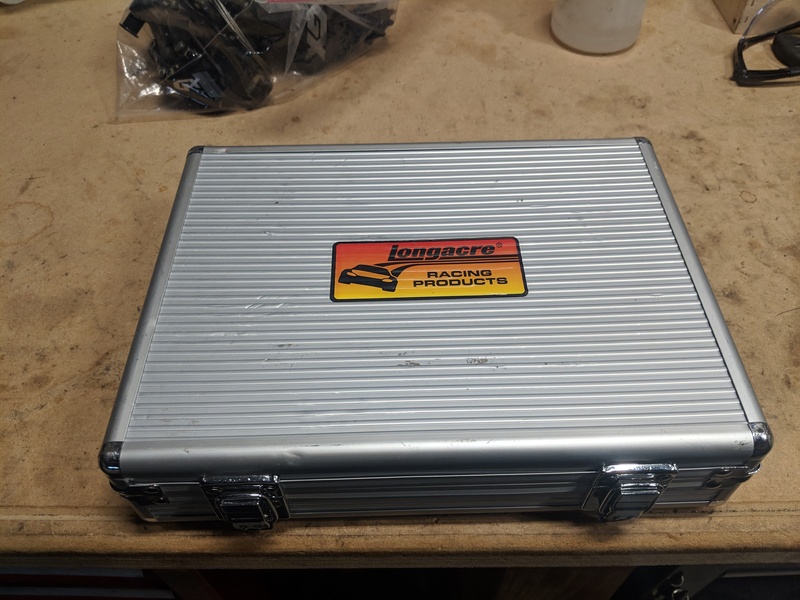 I originally priced this the same here as I have it listed on other forums on accident (trackhq discount so to speak). Please ignore the price in the thread title. 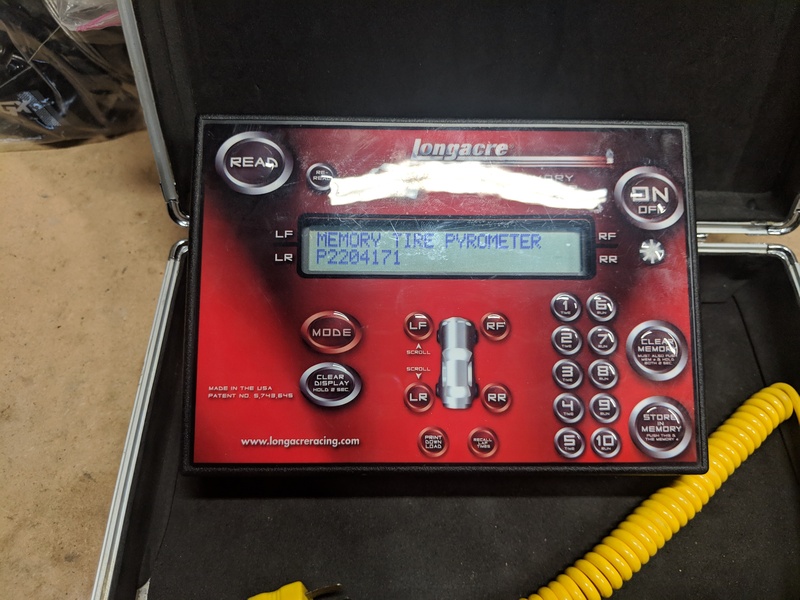 For sale is a Longacre deluxe tire pyrometer. 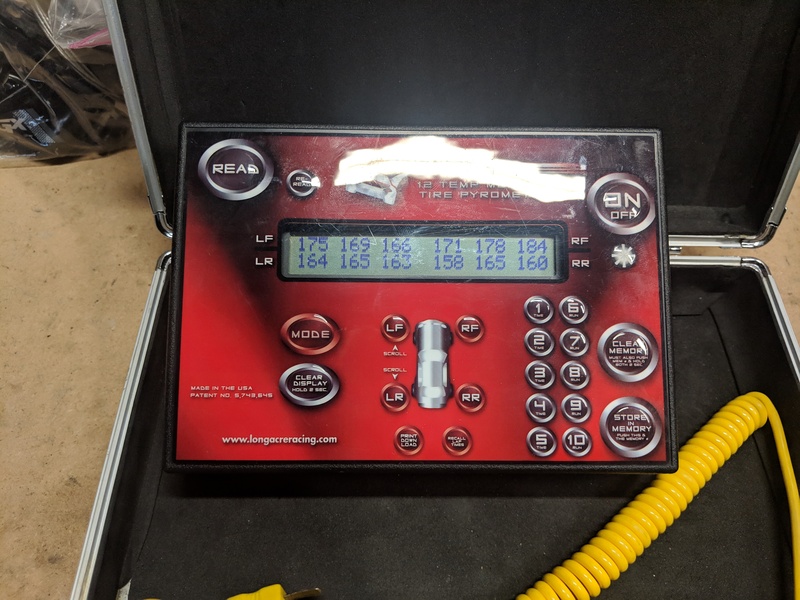 This is the deluxe version with 10 set (10 sets of 12 temps), tire temp averaging, lap timer, interval lap timer and adjustable length/depth temp probe. These have to be purchased in either Fahrenheit (barbarian units) or Celcius (Units of science) and since this is america, this is the Fahrenheit unit version (also referred to as units of freedom). This unit has been used maybe a handful of times (6-7 track day weekends) and is in pristine shape. It is functionally and aesthetically perfect and includes the padded/aluminum protection case. Memory stores 10 complete sets of temps (120 total) with quick and easy recall. Special software prevents accidental erasure of temps. Take tire temps in the pre-programmed order or select any order you prefer. Computes tire temp averages for temps just taken, recalled from memory, or you can even manually enter temps taken previously to compute averages. 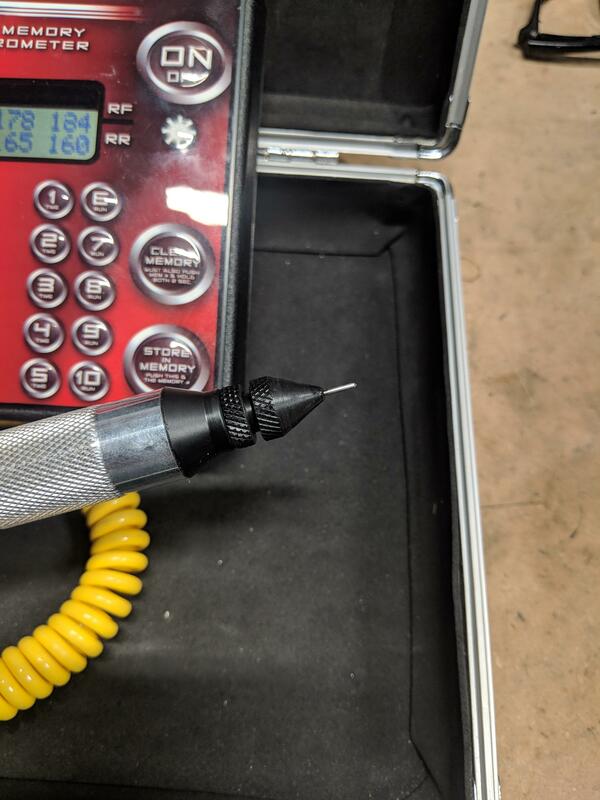 Advanced electronics stabilize your readings quickly giving you accurate, consistent results. 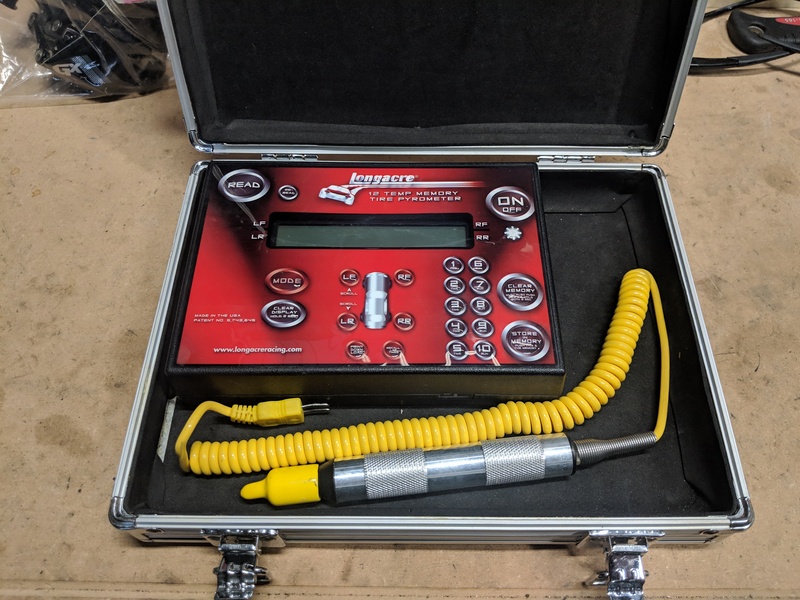 Pyrometer comes with a built-in night light with auto shutoff, fast response coiled cord adjustable tire probe, and carrying case. It also features a built-in four car stopwatch with 70 lap memory for all 4 cars. Last edited by ebruner; 02-11-2019, 10:26 AM. OBO, if you need this thing throw me an offer. $200 shipped or picked up. I need this thing gone.